This article we will Learn, how to Install Laravel 5 in Ubuntu.As We know Laravel is designed for development of MVC web applications in PHP. 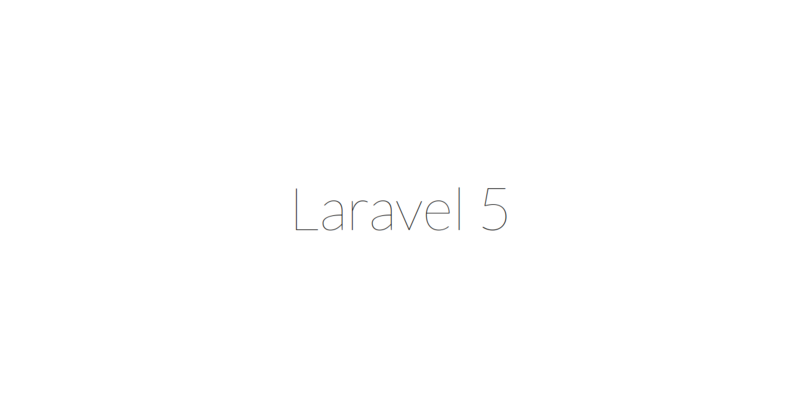 Installation Step of Laravel 5 are giveb below. Step 1:Install openssl and mcrypt. Step 2:In Second step we will install composer.Composer is used to install Laravel dependencies.We will use below commands to install Composer. Step 4: Set Encryption Key. To Set Encryption go to "config/app.php" and update above generated encryption key as below.This key is used by the Illuminate encrypter service and should be set to a random, 32 character string. Step 6:Set up Apache VirtualHost. Go to /opt/lampp/etc/httpd.conf And open httpd.conf. Now search "#Include conf/extra/httpd-vhosts.conf" and remove "#" sign in front of "Include conf/extra/httpd-vhosts.conf". Open httpd-vhosts.conf file located in "/opt/lampp/etc/extra/httpd-vhosts.conf" and add following code. Go to "/etc/hosts" and open the file "hosts" and add following line. Step 7:Restart the Apache service. And type "http://laravel" in browser.We will see following screen.